Pembrokeshire offers some of the best sea kayaking in the UK with endless options to paddle beautiful coastlines as well as the extensive calmer Cleddau estuary. For the adventurous there are islands, strong tides and Atlantic swell which combine with our frequent blustery conditions to make some very challenging conditions. 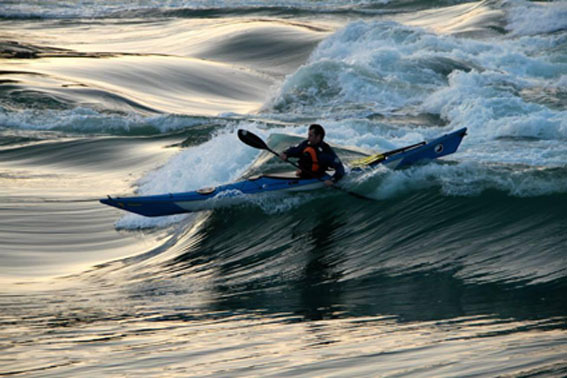 Haverfordwest kayak club explore our whole area in a range of moderate and advanced sea paddling conditions. (Due to the strong tides all sea trips in Pembrokeshire require careful planning). Sea Kayak Navigation by Franco Ferrero. The original is a pamphlet book, tells you exactly what you need to know, no waffle. Sea Kayak A Manual for Intermediate & Advanced Sea Kayakers, by Gordon Brown. Written by a Level 5 coach who has paddled all his life in Scotland. No non-sense, nicely written guide to the whole sport of sea kayaking, great photos. Sea Guide to the Pembrokeshire Coastline by Tom Bennett. Contains very good generally accurate diagrams showing local tidal flows around Pembrokeshire.